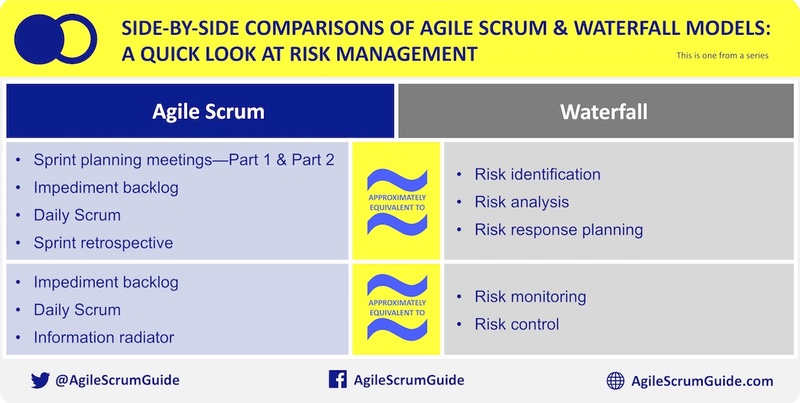 To help explain key differences, side-by-side comparisons were created on multiple areas such as risk management, quality management, communications management, etc. The information is included in the book, Agile Scrum: Your Quick Start Guide with Step-by-Step Instructions. An excerpt is provided here. This post provides a quick look at Risk Management. This comparison is one from a series.